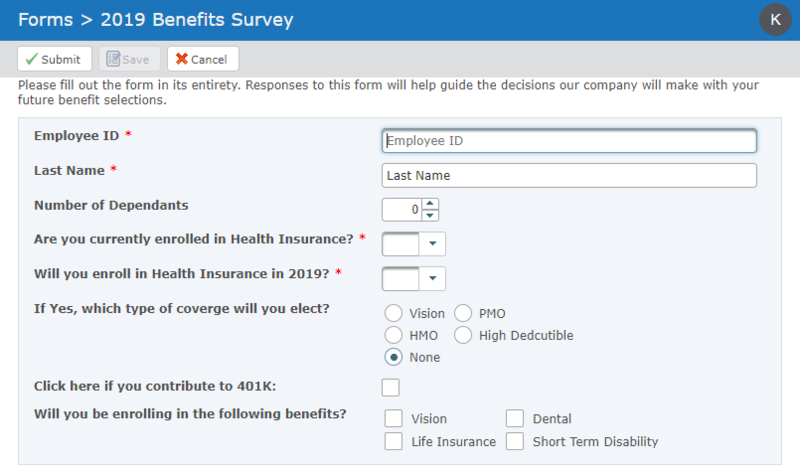 Secure Forms allow end-users to fill out custom forms with one or more input values and optionally upload files through the HTTPS Web Client in GoAnywhere, or submit forms by making SOAP or REST requests from your custom built applications. When a form is submitted, a Project in GoAnywhere is executed to automatically process the submitted values and files. GoAnywhere administrators can define one or more Secure Forms with configurable input fields, custom labels, and file upload components to control the data which end-users provide when submitting a form. When the Project processes the Secure Form, it can return a custom message and one or more output files to the user. For instance, a Secure Form could be used to collect electronic voting ballots by prompting the user to enter their voting information and attach a scanned PDF. A Project workflow could automatically process and distribute this electronic ballot to the appropriate election official (based on the voting information provided by the end-user on the Secure Form). Watch our on-demand webinar, Get the Most Out of GoAnywhere: Secure Forms. Request a quote for Secure Forms in GoAnywhere MFT.